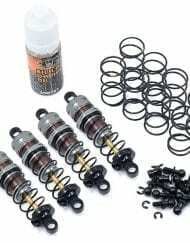 Buy it now is for one pair of shocks as per pics above, mounting hardware (shown above) is included. 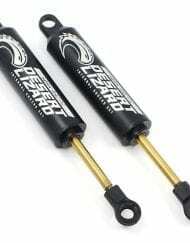 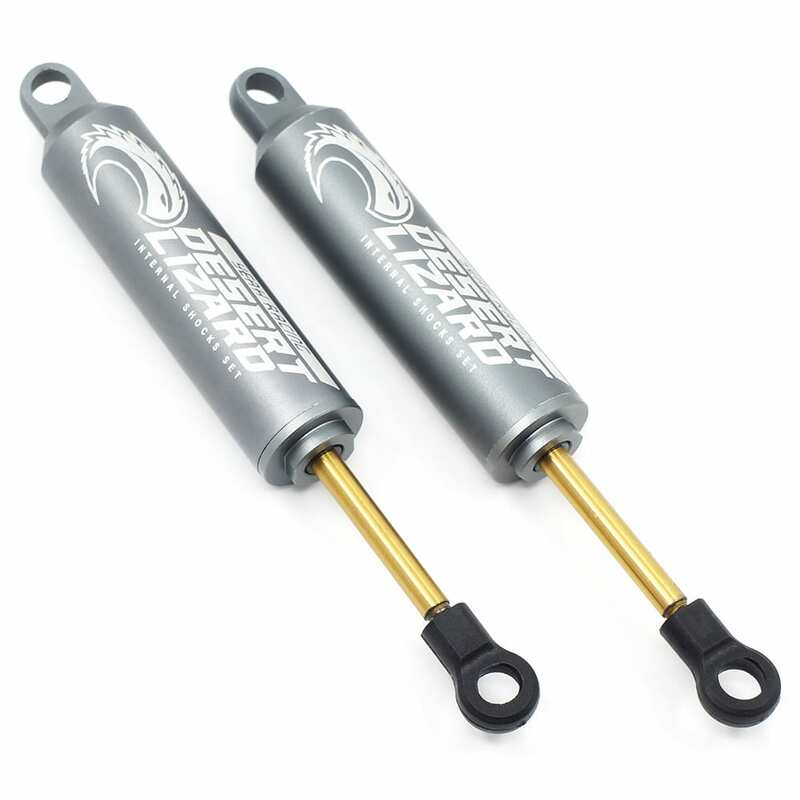 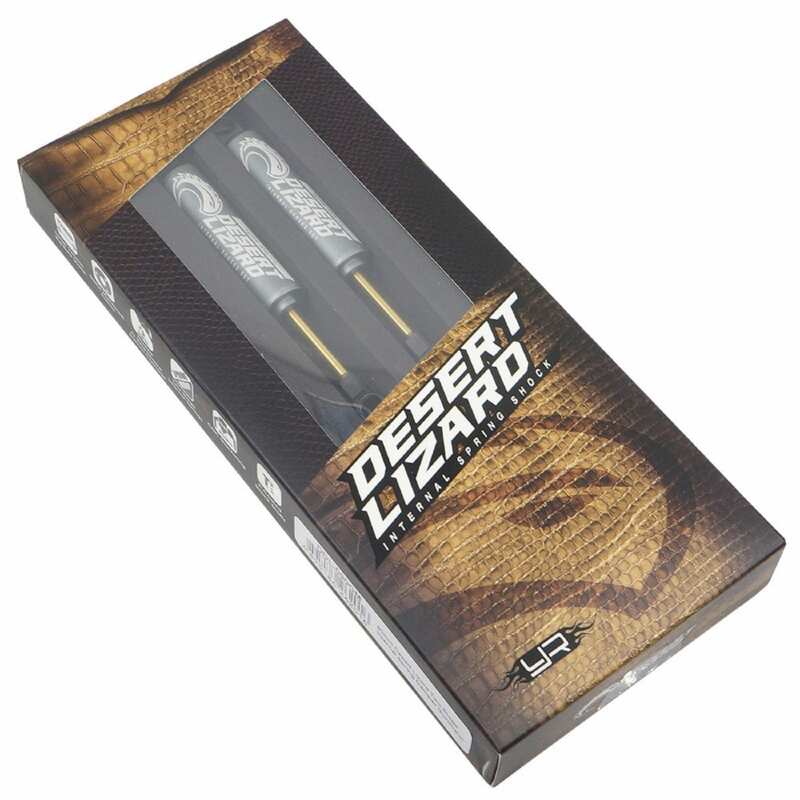 Introducing the Yeah Racing Desert Lizard internal spring alloy shocks for crawlers, comes pre-assembled for easy upgrading your current rig! 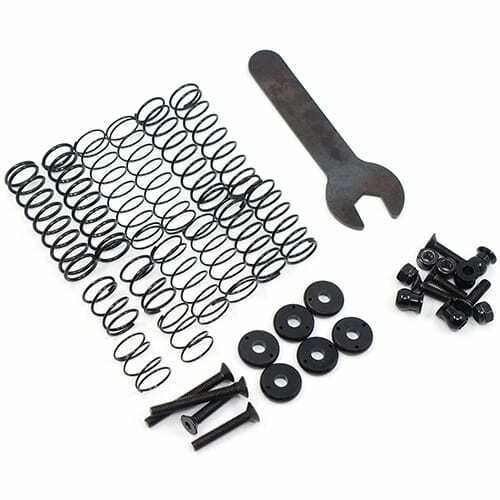 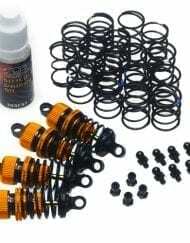 Comes with a full set of springs and machined pistons for you to setup your rig for all sorts of different conditions! 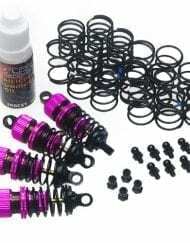 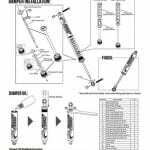 Included are springs for you to build either a droop or a sprung setup, a sprung setup will create a rig which will generate a lot of flex and more suspension travel. 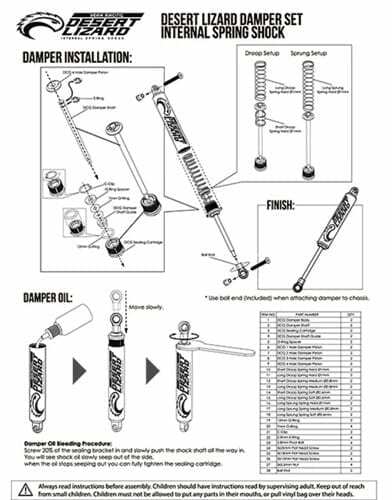 For the droop setup, your rig will sit lower and because of a spring under the piston, will be less prone to rolling over but will generate less flex. 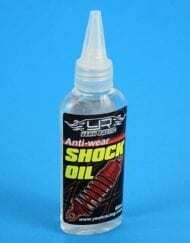 Featuring a triple O-Ring sealing cartridge which will prevent shock oil leakage!